Australia’s pork industry researchers, Pork CRC, and the industry body Australian Pork Limited (APL) have found Australian consumers significantly increase their purchase of pork steaks once they have engaged in a pork marketing campaign that shows the consumer how to make a good meal using pork. 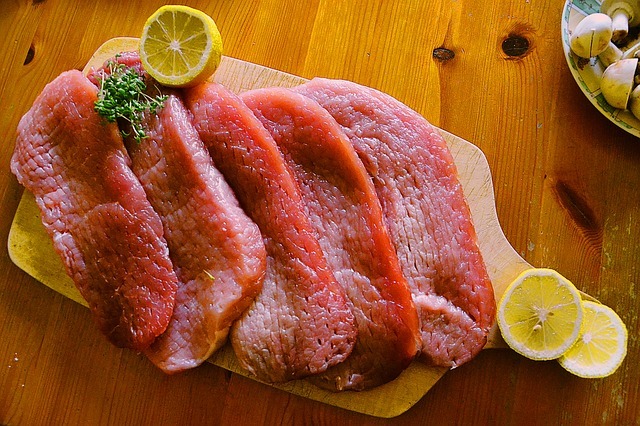 Pork CRC research previously found experimentally in large studies that cooking temperature influences consumer perception of the eating quality of pork steaks, with over-cooking markedly reducing eating quality. Other APL research in Australian homes had shown that the majority of bad eating experiences with pork were due to cooking failure and over 50% of these were associated with the loin which is the fresh pork cut most consumed by Australians. The market research introduced and tested for new awareness the so-called “6-2-2 cooking message” (i.e. 6 mins one side, 2 mins the other & 2 mins rest) to prevent cooking failure. Different promotional activities, ranging from TV advertising through to retail labelling down to the use of 6-2-2 stickers on retail packs only, were tested for their effectiveness. As a result the sale of pork steaks increased significantly in all retail outlets where the new marketing format was carried out and studied. The magnitude of the increase in sales was above what was expected (based on sales determined before the promotion and store history) and was associated with promotional strategy used.The increase in sales of pork steaks was also not at the expense of other pork cuts/products. Pork CRC said a major learning outcome from the project was that communicating the rewards associated with 6-2-2 is the best way to entrench the purchase of pork steak and avoid relying on a continuous advertising push. The findings will now form the basis of future advertising and promotional campaigns by APL. The successful campaign from Pork CRC and APL is just one in a number of marketing campaigns run by meat industry body groups teaching Australians how to cook meat. Meat and Livestock Australia (MLA) successfully ran its ‘Dinner Project’ in 2014 which was a television series hosted by celebrity chef Hayden Quinn who taught viewers how to cook different meat and lamb dishes. In 2015, MLA have continued to follow a similar marketing technique launching a new cooking show hosted by Hayden Quinn called ‘Dinner 3 Ways’. MLA also own a website which informs consumers how to buy and cook beef and lamb.